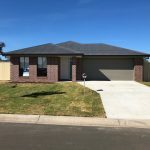 Bought my first investment home through Bramwell Homes, few up to the house for the final inspection and was over the moon on the quality of the build. Not a single issue at all and the service has been amazing keeping me in the loop with photos and updates regularly. Highly recommend! !